Bryant Arts Center - PRIME AE Group, Inc.
Bryant Hall was built in 1904 as a men’s gymnasium. 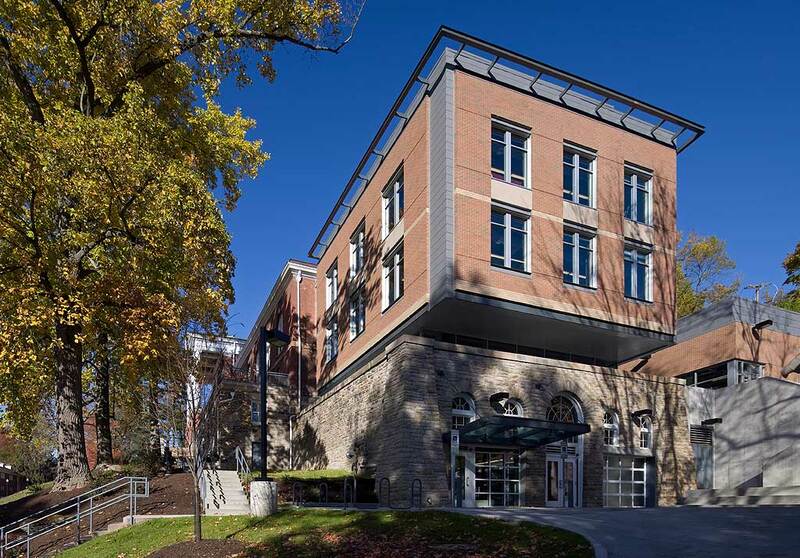 As the Architect of Record, the PRIME team provided design development, construction document, and construction administration services to this Design-Build project. 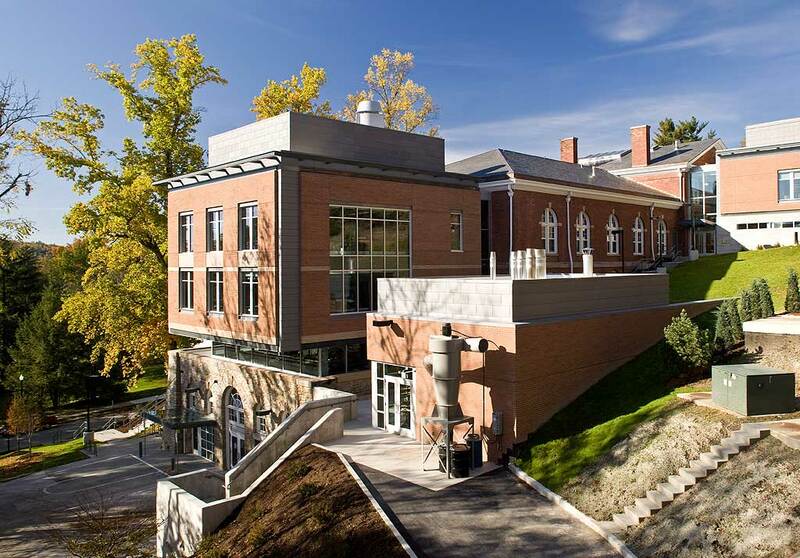 The re-purposing of this significant academic building consisted of renovating the existing 33,000 SF building and constructing 12,000 SF of space in three new additions. 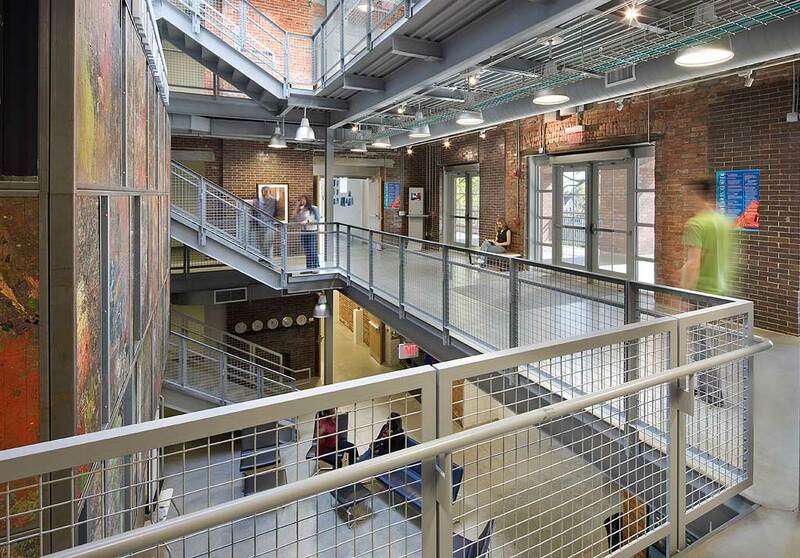 The facility upgrades and the design of the additions were compatible with the existing building, reflective of a modern interpretation, and resonated clearly with the historic community context. During the development phase, PRIME conceived a clever reclaiming of the paint-splattered wood flooring of the old gymnasium that was to be demolished. 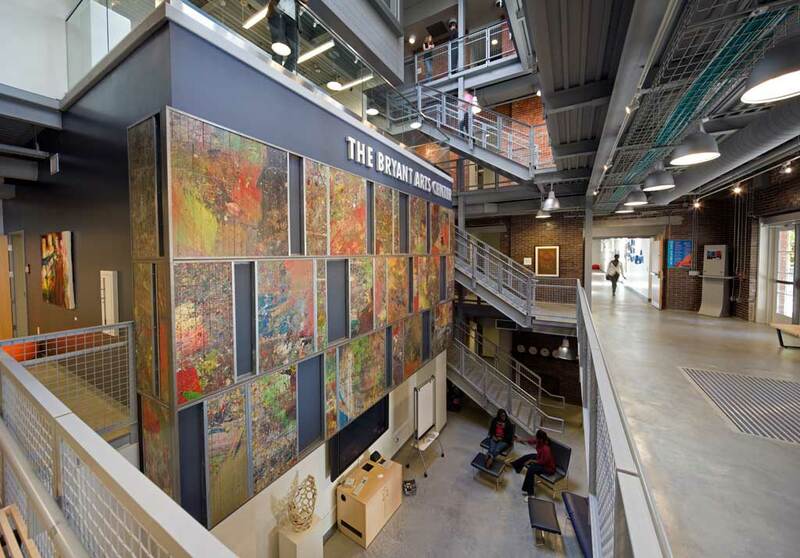 As a tribute to the previous generations of art students, sections of the wood were carefully removed and repurposed into a vibrant two-story art piece adorning the new atrium. 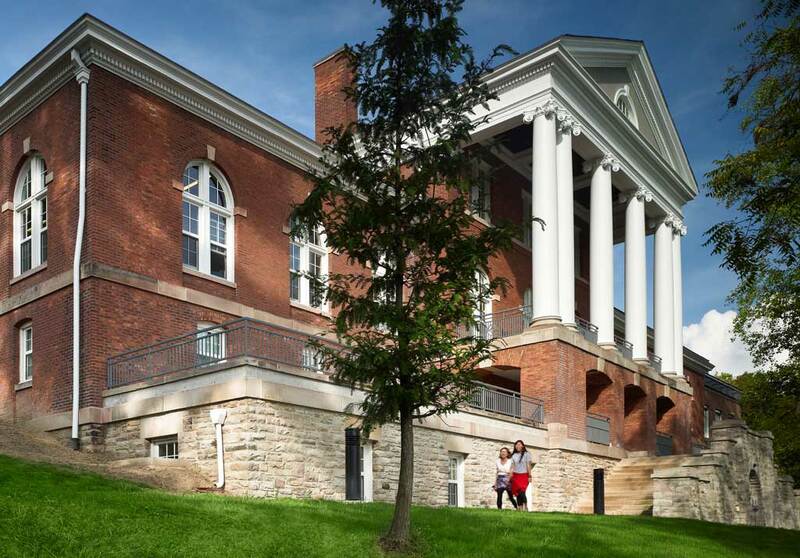 This project is LEED Gold®-certified and the recipient of an Ohio Honor Award from the American Institute of Architects. 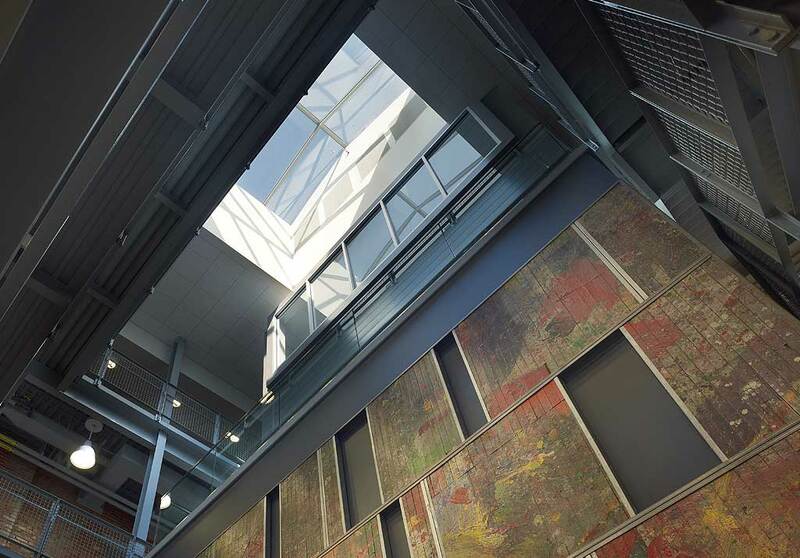 The multi-functioning building now provides an array of spaces supporting art education including offices, studios, archives, meeting spaces, and classrooms.